Farlaine the Goblin ~ A Fairy Tale About Finding Your Forest: Farlaine the Goblin Holiday Gift Set! Farlaine the Goblin Holiday Gift Set! Just listed something new on the website...The Farlaine Holiday Gift Set! 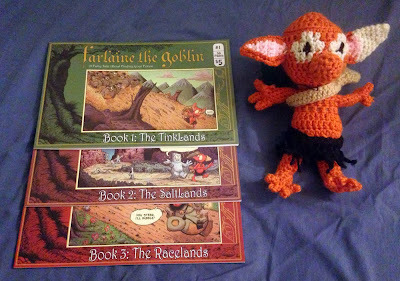 Includes copies of Farlaine the Goblin #1, 2, 3 AND a hand-made crocheted stuffed Farlaine! The books can be inscribed or signed. Only available until December 20th! Limited Supply!